Last week at Haven's Kitchen in NYC, I went to the cocktail/launch party for Jane Iredale's new lip glosses and mascaras. The mascaras now have new wands with a long stem and fuller heads with carefully separated bristles allowing you to have fuller lashes. The lip glosses features 11 new shades and they're not sticky or heavy at all. They smell delightful too. On top of that, they also relaunched their top 7 selling lip glosses with the new formula and packaging. At the event, we were treated with a little mixology class. They created 3 drinks based on 3 shades from the new Jane Iredale collection. And here are the ingredients if you'd like to try them! We walked away with the 3 featured lip glosses and these amazing eye products in our gift bags. It includes the PureLash Mascara, PureLash Lengthening Mascara, PureLash Extender and Conditioner (all available now) in addition to the Longest Lash Thickening and Lengthening Mascara (available January 2013). 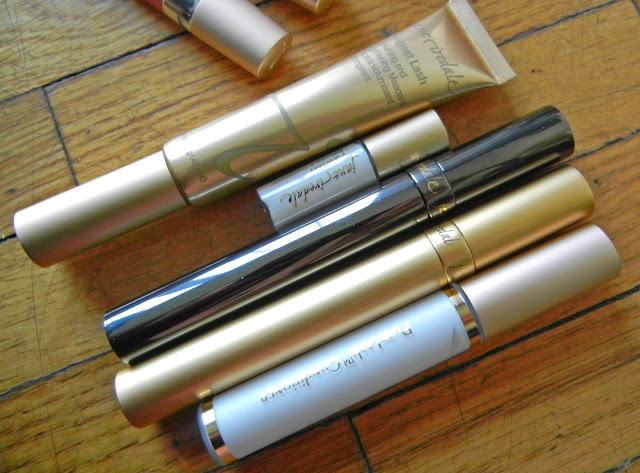 I naturally have lashes that grow straight down and what I love about these mascaras if that they absolutely volumize my lashes while allowing them to curl up without other assistance from a lash curler. It doesn't clump and it lasts me all day without smudging! ...you drank cocktails based on lipglosses? Audrey, your fabulousness seriously knows no effing bounds. Ooh, I could several snow berries after the stressful work week I've had! Ha! Love these new glosses; so pretty. 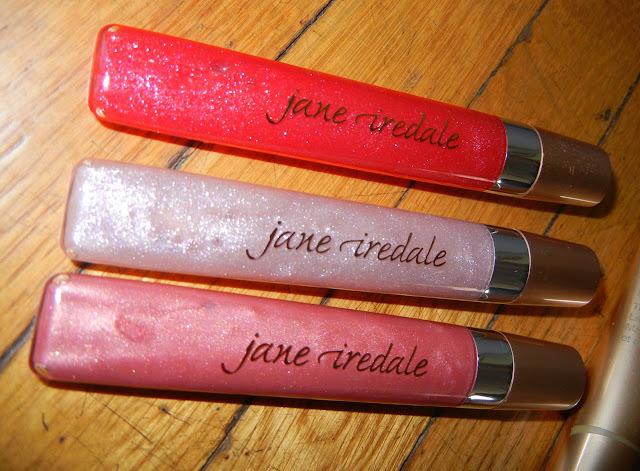 oh so juicy lip glosses, am loving these.. I love the idea of drinks based on make up colors! Or... drinks based on anything. Lovely pictures! I love the colors of those lip glosses. Gorgeous images . Great post. Jane Iredale make up is one of the best!!! What a great idea to make coctails based on the glosses, love it! I just started wearing this make-up. I would be interested in which mascara you like the best? Looks like you got some fabulous things in the goodie bag and could go one of the cocktails now. The names of the products sound yummy too and so do all the pics!